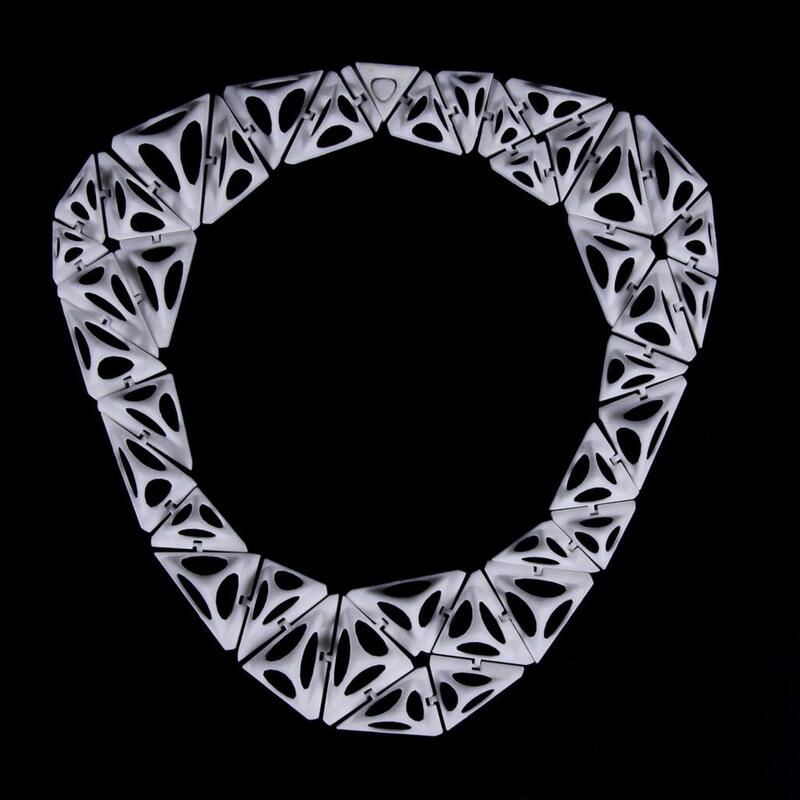 The Tetra Kinematics 41n necklace by Nervous System is a unique 3D printed lace necklace that looks absolutely stunning! The Tetra Kinematics 41n necklace is composed of forty-one unique pieces. The Tetra Kinematics style features organic extrusions. The variation of the size of the underlying triangular framework results in a morphing, undulating landscape of smoothed tetrahedrons. Each triangular shape is made of nylon processed and finished in such a way that appears natural and beautiful. The Tetra Kinematics 41n necklace is the result of a Kinematics system development by Nervous System. 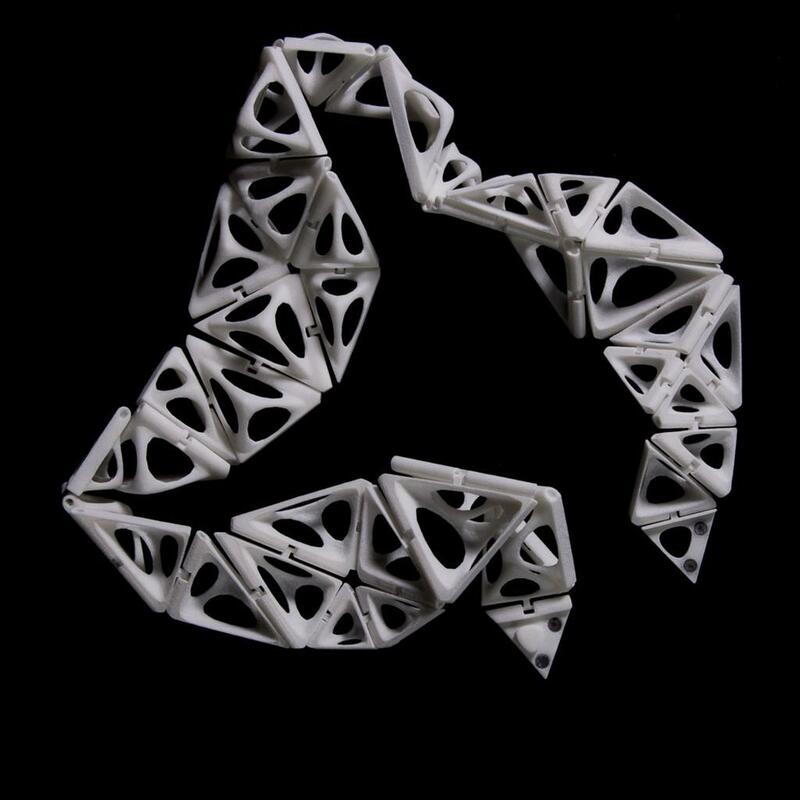 This System creates complex, foldable forms composed of articulated modules. 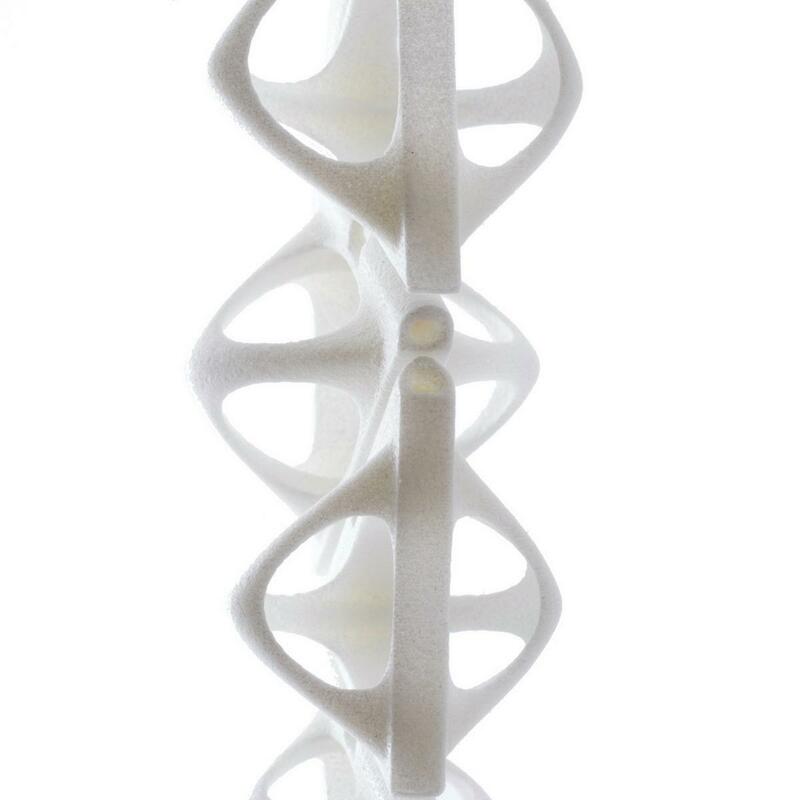 It provides a way to turn any three-dimensional shape into a flexible structure. 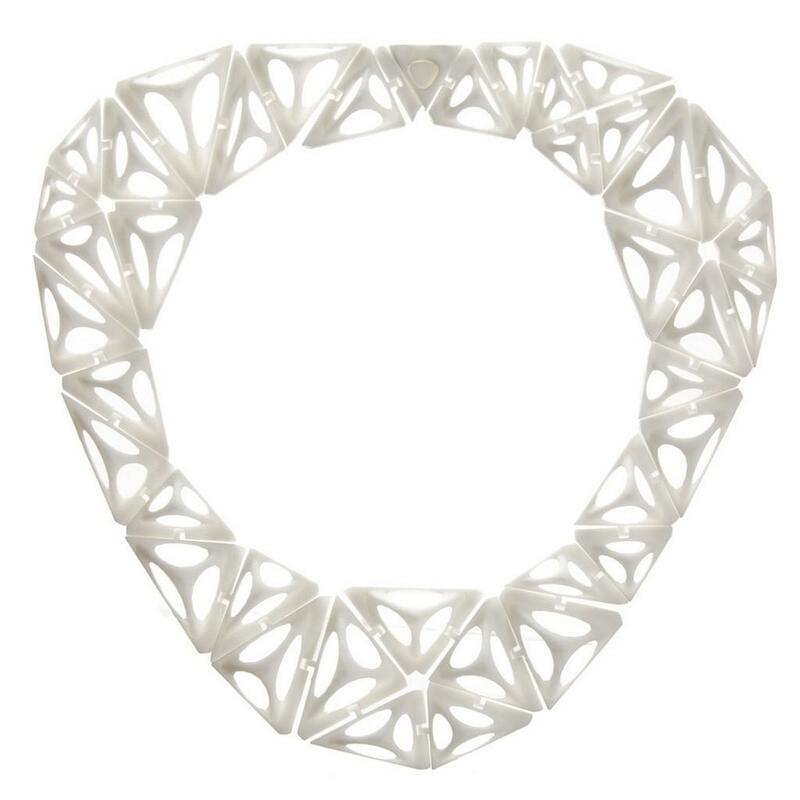 Tetra Kinematics necklace is built up layer-by-layer in strong but slightly flexible nylon plastic using selective laser sintering, a kind of 3D printing. The hinges are built in during the printing process so each design comes out of the printer fully assembled. The pieces are polished until smooth, but they retain a delicate texture from the printing process. The necklace is fastened simply and securely with a hidden magnetic clasp. Each jewelry design of the Kinematics series is an assemblage of hinged, triangular parts that behave as a continuous fabric in aggregate. Tetra Kinematics 41n necklace naturally and comfortably molds to the body’s contours, highlighting the complex and subtly shifting patterns of each piece. Kinematics jewelry is 21st-century jewelry, designed and manufactured using techniques that did not exist until recently.